Professionals and educators love labels. Sometimes, those labels are wrong. Intensity, sensitivity, and asynchronous development are traits. Here’s how to parent when a label doesn’t fit. My memory is foggy, but I do know we met with the psychologist first. She sat across from me, poised above a stack of institutional evaluations, tapping a manicured finger on the margin of the top sheet. She slid a stack of papers across the fake wood table. I felt my husband’s gentle hand squeeze my knee. My daughter’s faults stood in sharp relief on the paper in front of me. …difficulties in social interaction, social communication, and transitioning throughout the day…significant problems in regulating her behavior and emotions…low tolerance for frustration that sometimes results in emotional meltdowns…sensory sensitivities and the presence of rigid thought…adversely impact her daily functioning with the school setting and her availability for learning. What about her intellect? Her wit and creativity? Her penchant for insight and emotional connection? Strengths are reported in her scholastic potential. It is noted that she is reading above a first-grade level and possesses a wide vocabulary. She is described as articulate, bright, and creative. And then the IEP – five pages of focus on perceived social and emotional concerns. You have to really know gifted to understand it. My 10-year-old obsesses over certain topics. She has sensory aversions and social quirks, but she does not have Autism. My seven year old suffers from extreme anxiety. She has violent outbursts and fights me on everything, but she is not Emotionally Disturbed. My three-year-old is not a sleeper. He wakes screaming and needs me multiple times a night, but he does not have a sleep disorder. From the outside, their behaviors look like pathology. In truth, it’s normal life for a lot of gifted kids. Intensity, Sensitivity, Asynchronicity – Oh My! Everything a parent needs to know about gifted children, they learn in kindergarten, or at least the first time they send a child to school. Many educational professionals are hardwired to view gifted traits as pathological concerns, and part of me can’t blame them, really. I used to be an educator; putting kids into categories was my thing. I had to educate large groups of children in one institutional setting. My classroom was far more manageable – my students, more teachable – if my world was organized and clean. But what gifted parents know by experience catches most teachers unaware: atypical thinkers are gloriously messy. They harbor traits like intensity, sensitivity, and asynchronicity most educators don’t have time to study. 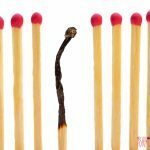 Instead of being viewed as having a passion for learning and a drive to explore, they see our children’s intensity as defiance, impatience, or perseveration. 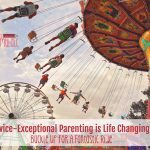 Instead of appreciating our children’s heightened awareness of their surroundings, they see their sensitivity as hyperactivity, distraction, or emotional fault. 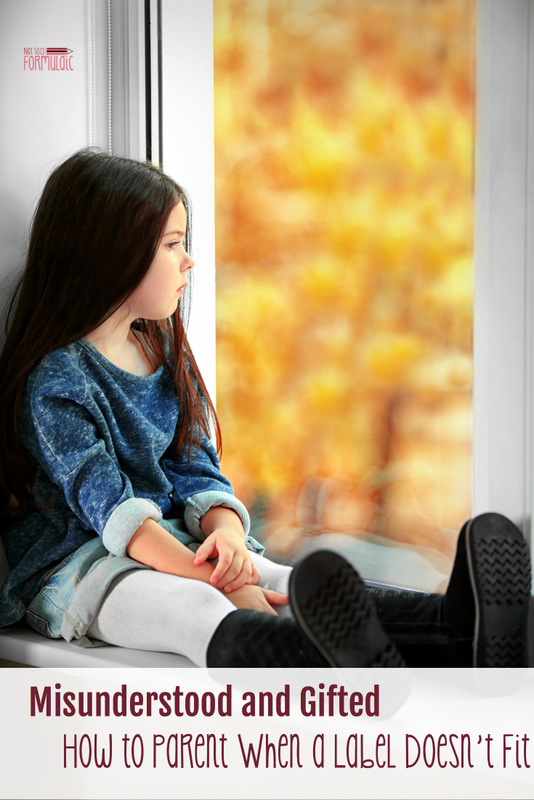 Instead of recognizing the individual nature of a child’s development, they see our children’s asynchronicity as inappropriate behavior or developmental delay. 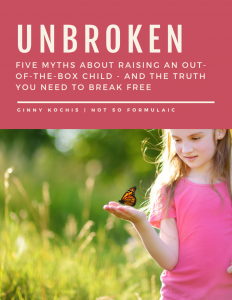 The end result is is a one-off perception: our children become subject to “One Label per Customer” thinking, a situation where children are “defined by their gifts or their deficits, not both,” (Dietrich and Webb). 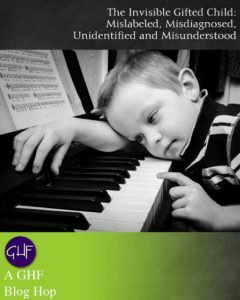 As neuropsychologists Webb and Dietrich point out, once one label has been applied to a child, the quest for answers ends. Regardless of whether the label is incomplete, inaccurate, or just flat out wrong, there’s no impetus to fund further study or exploration. This is where we have to step in. This was the hardest for me. Maybe it was my background as an educator; maybe it was my wounded pride. But in either case, I didn’t want to view my daughter as anything other than my own perception of perfect. I was angry – at her, at myself, at the school – at anybody who came within a five-foot radius of my carefully crafted world. It’s taken four and a half years of prayer and consideration, but I’ve finally reached a point where I can accept the 2E designation as a gift. It’s an opening to greater possibilities for our children, the beginning of a quest for answers and phenomenal growth. 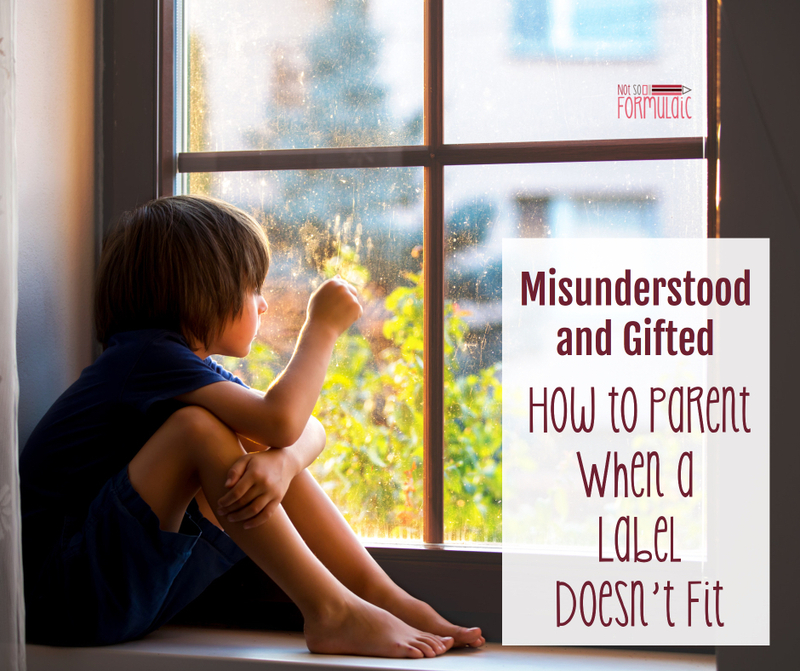 As the parent of a gifted child, both you and your child have rights. 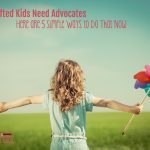 Read through the Children’s Bill of Rights with your child, and teach her how to advocate for herself. 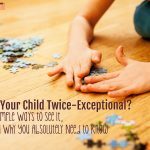 If you have a Twice Exceptional, familiarize yourself with IDEA and ADA. Become familiar with the concept of an IEP, and be sure to know your rights during the IEP process. Giftedness is a lonely path, one much easier to navigate in a group setting. Seek out families with similar interests and situations and help yourself and your child make friends with those who understand. Don’t know where to start? Look to organizations like Davidson Gifted, Johns Hopkins CTY, and Gifted Homeschoolers Forum. My father had a favorite saying: “Square peg don’t fit in a round hole.” That bit of Texas wisdom has stuck with me through my own parenting, especially when it comes to the choices we’ve made for school. I thought a private, Catholic education would be the right place for my children. I couldn’t have been more wrong. We eventually made the decision to homeschool and it’s been a game changer. I encourage every gifted family to consider the variety of options available; not every child will thrive in a traditional public school. My memory of those kindergarten days may be foggy, but our direction forward is clear. We’ve chosen a path for our children that celebrates the whole child rather than focusing on deficits or gifts. The journey hasn’t been easy – we still second guess ourselves and fight fear. But when we look back at where we started, we all much happier here. Yes, yes, yes! Thank you, thank you, thank you. Been there, done that. 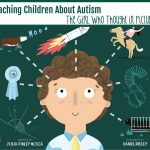 Wonderful blog post that sums up the situation with 2e kids. Thank you, Carolyn. Glad you enjoyed it. The names and labels we – and others – call our children. *sigh* I learned a long time ago to pause and reframe the negative into a positive to help me be a better parent. I constantly advocate for labels to help people understand what’s going on – but you make a very valid point here. The wrong label is so harmful! I read your story and think that if we hadn’t made the choice to homeschool, we would be so far down the path of the wrong labels and the wrong options that everyone would be completely miserable. Thank you for sharing! Thanks for the post. I have a 4 year old who is very intense. I’m also a teacher-special ed.-year 18. My 4 year old has had a couple of intense meltdowns in public recently. I have felt embarassed and ashamed, like a failure as a parent and a teacher. This post gives me hope. Thanks! I’m so glad. Thank you for stopping by! Thank you!! I needed this right now more than anything. I have made the decision to pull my highly gifted Kindergarten boy out of school. It’s a scary adventure that I know is right for him. I wish you all the best! Hang in there. It will be wonderful. Wow! I could have written this post about my 2E 7 year old son. Trying to fit a square peg in a round hole sums up our situation completely. He’s gifted (self-taught reader at age 3), has sensory processing disorder and ADHD. School expressed interest in autism eval to label “because it would explain a lot of things.” But not able to meet his needs academically Thanks for putting this out there!! Of course. I know that schools and educators have a child’s best interest at heart, but it can be difficult trying to manage so many individual personalities in one classroom. Catch-all labels work really well for that, it seems. This is our story EXACTLY! From public to private to homeschool by mid 6th grade. I fought the labeling every step of the way and my son grew to distrust teachers because they ignored him or brushed him to the side. His desire to learn and his frustration with being mislabeled led to anxiety and a strong dislike for school. The reasons are stated exactly in your blog. And bc we don’t have an ADHD, ASD or ADD dx, his needs were not covered by IDEA. We couldn’t get accommodations or help of any kind, from anyone despite a lot of trying and crying. We can’t even get our insurance to get us a proper eval. So we paid OOP for an IQ test and were told the test couldn’t adequately measure his intelligence bc of how he thinks — so he will always be under recognized by the establishments. He will fall through the cracks and never get the same chance as other kids to fulfill his potential. He will continue to under perform on standardized tests off all kinds – which is all that is used in school. He couldn’t even get good behavior points to move a grade from C to B in 3rd grade. We measure and label and categorize according to these tests and that’s all, thanks to the data devotees. We are still new to homeschooling and he is finding his true self. We re-ordered our entire lives to do this and I gave up my career to give him a fair shot at life. Our journey is painfully lonely, esp for me as I see the other parents post about their kids in band, drama, or choir. Or taking field trips or getting awards. We do a lot of celebrating at home in our little world, and he is so grateful to be out of the classroom that he’s okay with missing the other stuff. Somehow it just doesn’t seem fair that we had to make this choice but we will make the most of it. Please follow our journey at FreeLearnerU on FB, Twitter or Instagram. Spot on! Thank you, thank you!